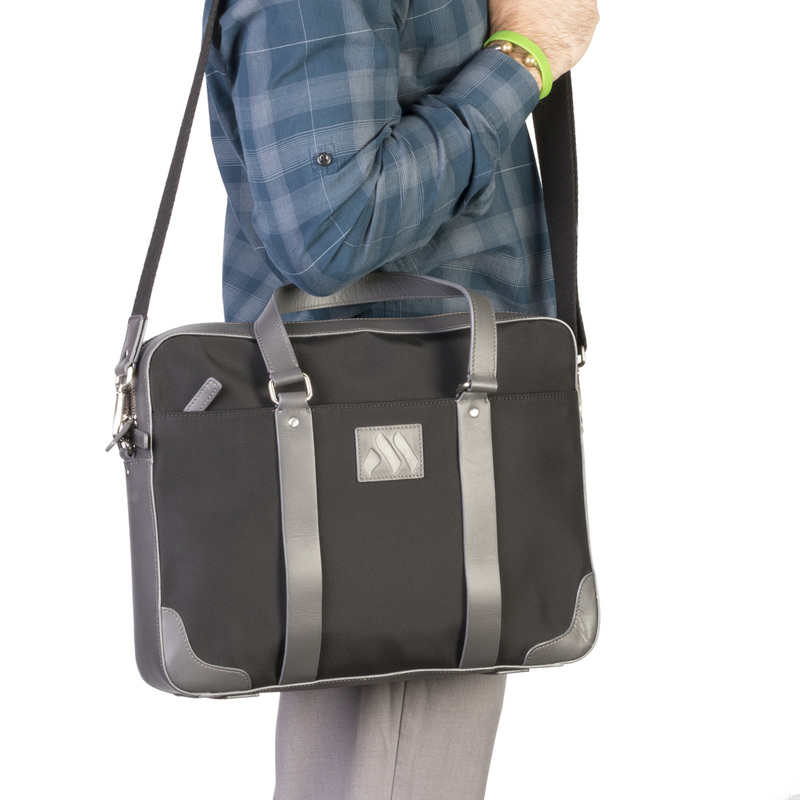 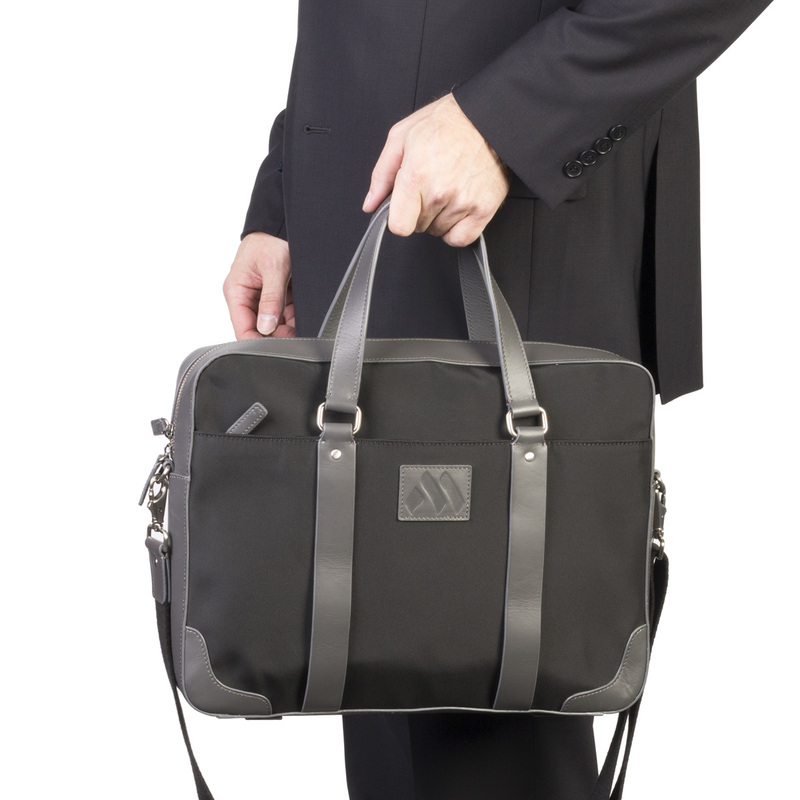 Large enough for office documents and electronics yet slim enough not to be in the way, our Executive Slim Briefcase completes the functional look for the student or professional. 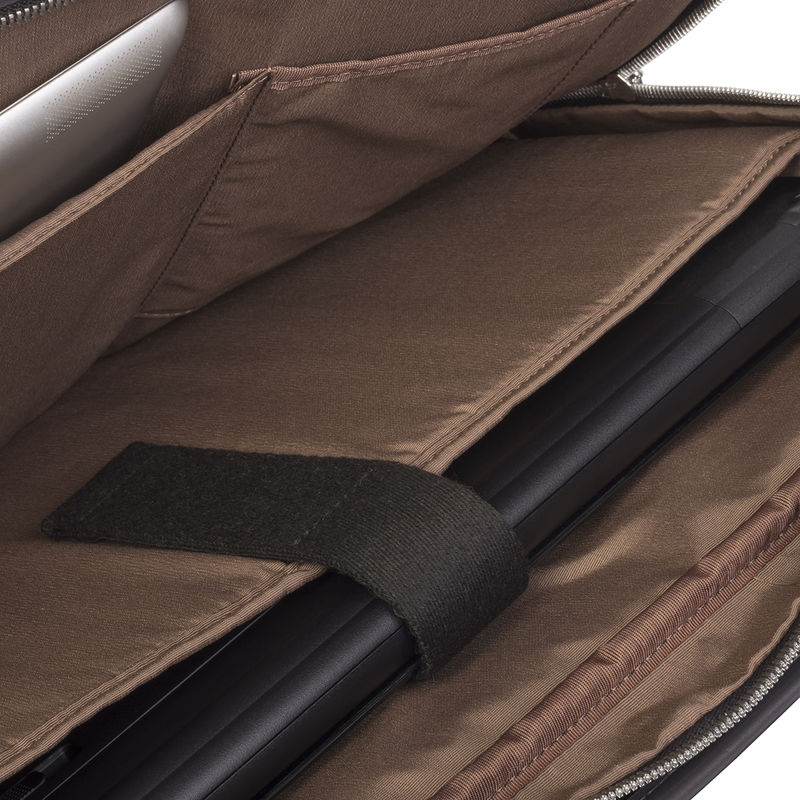 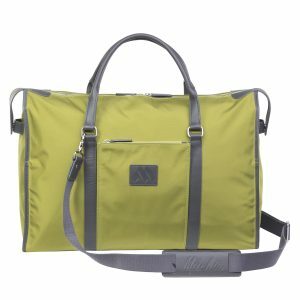 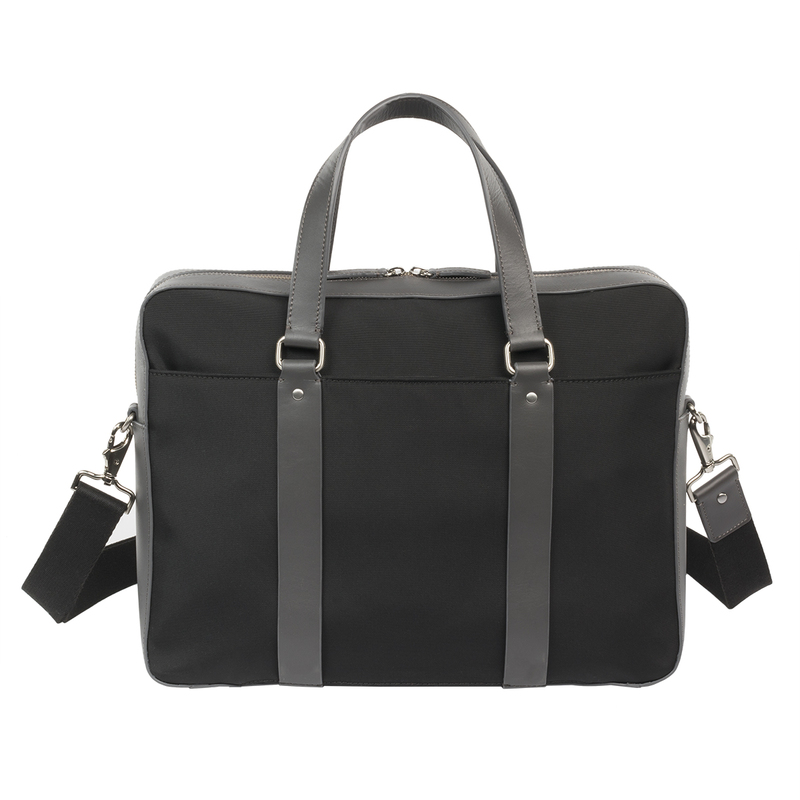 This case features a sleeve that conveniently slips over extended luggage handles along with a document exterior pocket and two interior pockets, as well as, a removable padded laptop case. 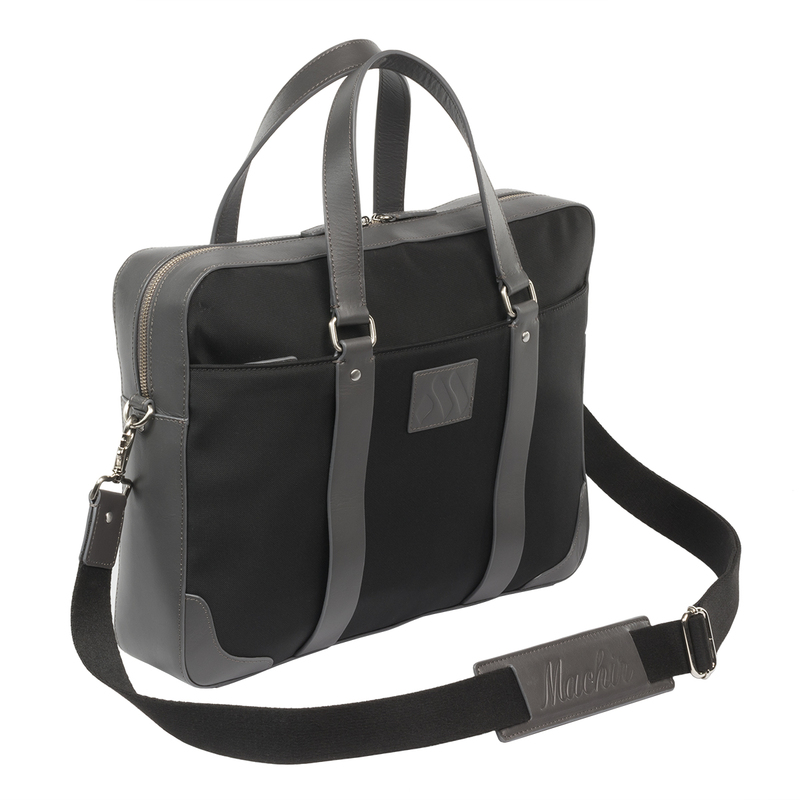 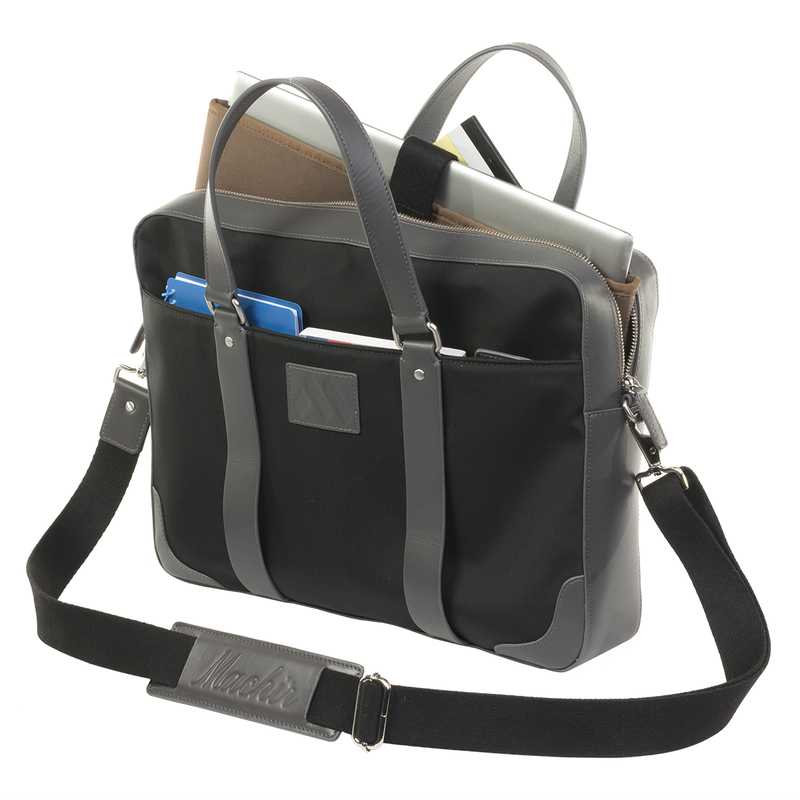 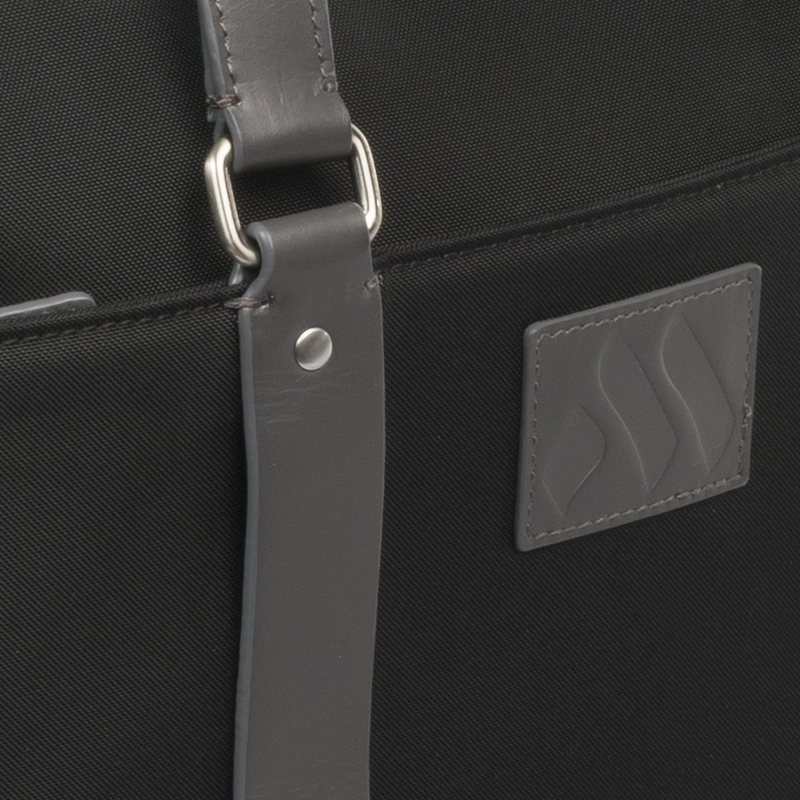 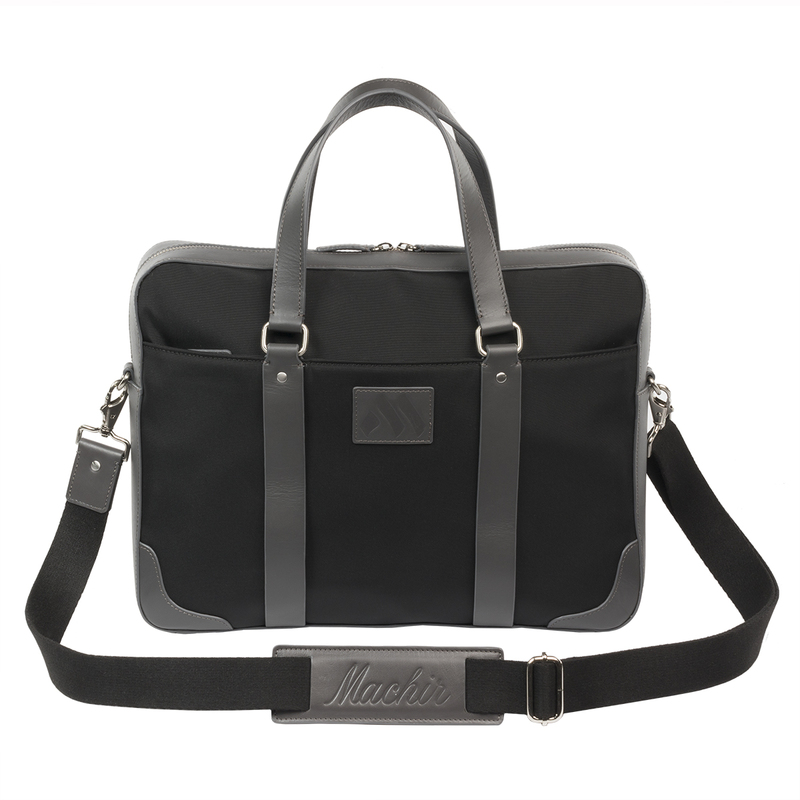 Leather trim and removable, adjustable leather shoulder strap provides for functional style. 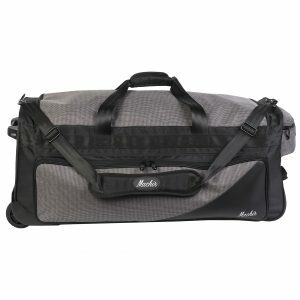 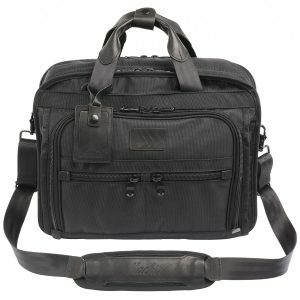 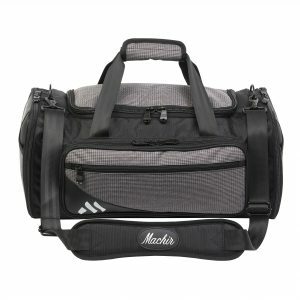 Dimensions:	L:15.75" x W:3.25" x H:12"
Laptop pocket:	L:14.75" x W:1" x H:10"